They were thinking on studying more. Los alumnos estudian el capítulo. The students are studying the chapter. Los alumnos necesitan estudiar el capítulo. The students need to study the chapter. Tú ibas a estudiar en la tarde. You were going to study in the afternoon. Que vosotros vayáis a estudiar todos los días. If only you guys would study every day. Juan dice que él va a estudiar. John says that he is going to study. Lorenzo has studied with me. Recuerden estudiar para el exámen. Remember to study for the exam. Nosotros estamos en la biblioteca para estudiar. We are in the library to study. You study a lot too. Yo estudio español en el instituto. I study Spanish in the institute. Yo estudié más que tú. I studied more than you (did). ¿Vas a poder estudiar con nosotros mañana? Are you going to be able to study with us tomorrow?. Él fue con su amiga a estudiar. He went with his friends to study. Ellos piensan en estudiar medicina. They think (intend) to study medicine. Mi mayor deseo es estudiar en el extranjero. My greatest wish is to study abroad. Tú ibas a estudiar para ser doctor. You were going to study to be a doctor. Nosotros vamos a estudiar los capítulos. We are going to study the chapters. Nosotros los tenemos que estudiar. We have to study them. Los muchachos van a estudiar los capítulos. The boys are going to study the chapters. Los muchachos los van a estudiar. The boys are going to study them. ¿ Señor, va usted a estudiar? Sir, are you going to study? Carmen dice que ella va a estudiar. Carmen says that she is going to study. Do you study in the institute? ¿ Van ustedes a estudiar? Are you all going to study? ¿ Estudias en la biblioteca? Do you study in the library?. I was studying when you called me. Los muchachos dicen que ellos van a estudiar. The boys say that they are going to study. Pienso estudiar en Caracas por un semestre. I am planning to study in Caracas for a semester. Las muchachas van a estudiar. The girls are going to study. Nosotros vamos a tener que estudiar mucho. We are going to have to study a lot. I am studying the words. John (he) is studying the words. We are studying the words. Es fascinante estudiar la cultura hispana. It's fascinating to study Hispanic culture. Ana is studying to be a pilot. Are you studying the words. 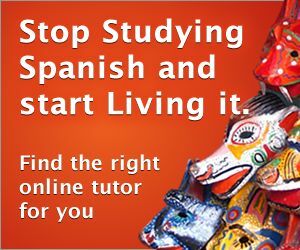 Tengo gran afán de estudiar español. I have a great thirst for studying Spanish. ¿ Vas a estudiar con María? Are you going to study with Mary? ¿ Dónde vas a estudiar? Volvamos a estudiar este asunto. Let us re-examine this matter. Vamos a estudiar esta cuestión. We will look into this question. Tenemos que estudiar esta cuestión. We shall have to look into this. Tenemos que estudiar este asunto. We need to look at this. Tengo que estudiar los detalles. I will need to study the detail. Hay que estudiar estos derechos. These duties need to be examined. Debemos estudiar cómo lo haremos. We will have to consider how it is going to be done. Deberíamos estudiar más detenidamente esta posibilidad. We should investigate that more. Envían gente para estudiar el mercado. They send people over to do market research. No obstante, tendremos que estudiar esta cuestión. We shall have to look into this matter, however. Ahora pasaremos a estudiar un tema muy distinto. We now move on to a very different subject area. Esto es algo que debemos estudiar. Es algo que debemos estudiar detenidamente. That is something we need to look at very carefully. Creo que debemos volver a estudiar la reglamentación. I think we need to look again at regulation. Necesitamos estudiar subsidios y diferentes incentivos fiscales. We need to look at subsidies and various tax incentives. Tenemos que estudiar estas cuestiones en profundidad. We need to look at these questions seriously. Creo que hay que estudiar este tema. I think that this needs to be looked at. Naturalmente, habrá que estudiar los aspectos económicos. Obviously, the economic aspects will need to be studied. Pero queremos estudiar también esta clase. We want, however, to examine this class too. Debemos estudiar este asunto muy detenidamente. Hipócrates dijo una vez que para estudiar medicina es necesario estudiar el clima. Hippocrates once said that to study medicine you have to study the climate. Vamos a estudiar dicho problema y comprobaremos todas las traducciones. Hay que estudiar esas complicaciones con más detenimiento. These complications ought to be studied more closely. ¡Debo decirles que estudiar francés me divierte de verdad! ¿Podría estudiar la Comisión esta cuestión cuanto antes? Could the Commission look into this matter at the earliest opportunity? Por lo tanto, deberemos estudiar métodos analíticos adecuados de control. Thus, a need for appropriate analytical methods of control will have to be considered. Deberíamos estudiar cómo funcionó su contención y por qué. We should study how their containment worked and why. Ahora bien, tenemos que estudiar las causas radicales del terrorismo. But we have to look at the root causes of terrorism. Debemos estudiar muy detenidamente cómo debemos tratar dichas sustancias. We have to very carefully consider how we deal with these substances. Procuremos que se puedan estudiar todas las solicitudes de asilo. Let us ensure that everyone can have their request for asylum considered. Se trata de una idea que tenemos que estudiar. It is an idea we should work on. Esta red sirve para estudiar e investigar los brotes. Empezaremos a estudiar este tema antes de que concluya el año. We will begin a study on this before the end of the year. Debemos estudiar cómo podemos ampliarlo a otros grupos de edad. We must look at how we can extend that to other age groups. Es prematuro estudiar cualquier levantamiento generalizado del embargo de armas. It is premature to consider any wholesale lifting of the arms embargo. Considero que habría que estudiar el asunto con objetividad. I believe we should assess the matter objectively. Si se produce, necesitamos estudiar la forma de abordarla. If it occurs then we need to see how it is dealt with. Tenemos que estudiar con sumo cuidado esas posibles medidas. We have to be very careful when considering such steps. Sin embargo, es preciso estudiar incluso si eso sería sensato. Whether this would even be sensible is something to be considered. La Comisión está dispuesta a estudiar la cuestión en profundidad. The Commission is prepared to examine this issue in depth. Al final tendremos que estudiar también medidas de repoblación. We will also end up having to look into resettlement measures. También convendría estudiar otras opciones para el comercio de emisiones. Other options for emissions trading itself should also be studied. Eso nos concederá tiempo suficiente para estudiar estos asuntos. That will give us adequate time to consider these matters. Estoy dispuesto a estudiar con especial atención cualquier propuesta. I am ready to give very careful consideration to any proposals. La Comisión va a estudiar con detenimiento este interesante informe. The Commission will carefully study this interesting report. Naturalmente, me reservo el derecho a estudiar los documentos finales. Naturally I reserve the right to examine the final documents. Sí, creo que debemos estudiar la normativa referente a los OMG. Yes, I believe we must look at the situation regarding the standards for GMOs. No podemos lograr una eliminación permanente sin volver a estudiar ese método. We cannot achieve any permanent disposal without looking again at that method. La Comisión ha de estudiar las opciones existentes. The Commission is to examine the existing options.